THE IT SKILLS CRISIS – COULD TECH LEVELS BE THE ANSWER? The fact that London’s financial services sector is also a hot spot for technology innovation is not news. In 2014, investment in financial technology firms grew by 136 per cent. Earlier this year, George Osborne identified London’s financial technology sector as a particularly bright spot in the recovering economy – not surprising when you consider the transformational effect that information technology continues to have on the industry. But casting a shadow on this bright spot is a widely recognised skills shortage that is threatening future prosperity of the UK – including that of the city. Of course, this is not just a threat to financial institutions. A particularly revealing piece of research conducted on behalf of the Institute of Chartered Accountants of Scotland (ICAS) and law firm DLA Piper, shows that the country’s finance chiefs believe that the skills shortage is a bigger threat to growth than the possibility of the UK leaving the EU, the abrupt slowdown in the Chinese economy, government regulation and red tape, and weak consumer confidence. Only the precipitous drop in oil prices was seen as a bigger threat. Nor is it a problem for the UK alone: estimates suggest that by 2020, there will be a global skills shortage in the essential area of cyber security, estimated at 1.5 million workers. For recruiters working in finance, the already substantial challenge of finding the right candidate with the right skills is just going to get more difficult. Firms like BT are trying to do their bit, in this case by expanding its Barefoot Computing programme to teach crucial IT skills to 400,000 children across the UK by 2016, but no one thinks that we have cracked the looming skills problem yet. All of which makes it slightly surprising that the new tech levels from the AQA exam board attracted such little comment when they were launched at the beginning of the current academic year. It’s easy to be cynical about yet another education initiative. Politicians have been promising a revolution in our schools for decades, but it never quite seems to quite taken off. However, positive steps were taken last year, when coding became a mandatory part of the core curriculum for those schools obliged to teach it. The government has also created a £500,000 fund to develop cyber security skills within universities and colleges, with the goal of helping them to construct innovative teaching methods that develop the skills needed to protect the UK from hackers, malware and other information security threats. There are also plenty of extra-curricular programs like Coder Dojo and Code Club to encourage young people. But although policy-makers are to be congratulated for putting coding at the heart of computer science in schools, there is more to a career in IT than this specific area, and recruiters are looking for a lot more than just programming abilities. And it is this that makes the new tech levels potentially very interesting. The seven new tech levels will teach young people about everything from cyber security to IT programming. Already launched are tech levels in design engineering, mechatronic engineering, power-network engineering, IT networking, IT programming and IT user support. Two more – cyber security and entertainment technology – are due for launch next year. This is an excitingly ambitious range of topics that cover some of the important skill-sets that businesses of all kinds frequently ask for. Entertainment technology may not be the most obvious qualification for a bank’s IT department, but like all these courses, it encourages computational thinking and problem-solving in young people – the foundation of any successful technology project. In effect, these new tech levels take the basic building blocks of information technology out of the box and breathe life into them. Skills such as coding are not an isolated activity, and there is the risk that they become just that unless given context and relevance. In doing so, they offer young people a realistic view of the diversity of careers available in IT, and the extent to which industries like finance will depend on their skills. Equally interesting is the background to these new qualifications. Vocational in nature, they are on an equal footing with A-levels. But they were developed specifically in response to the Wolf Report of 2011, which said many vocational courses do not help students’ career prospects. 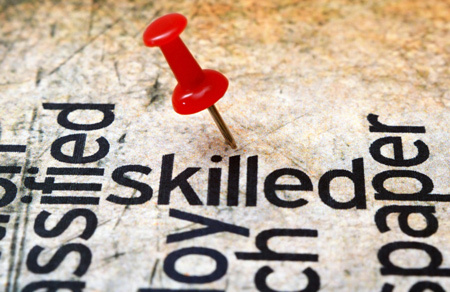 From the outset, the tech levels have employability and real-world skills in mind. As expected, technology companies including Siemens, Microsoft and Toshiba have helped to create the new qualifications. But equally interesting is the involvement of the Chartered Institute of Marketing, suggesting that the tech level modules have taken into account the fact the IT skills are needed in a wide range of contexts. These really could be the fit-for-purpose qualifications that enhance both skills and employability that were so widely called for. The new tech levels also offer students a path to university. They help close the gap that has existed for too long in British education between academic and vocational studies. Smart students who are interested in any aspect of technology need not have their future education choices restricted or academic ambitions restrained. The result of this is likely to be twofold. On one hand, we’re likely to see a broader talent pool for all industries to pick from in the future, as more young people select at least one tech level for study. Secondly, there will be a deeper talent pool – as university IT and engineering courses adapt to a more advanced and knowledgeable intake. AQA believes that employers will start making the tech levels a key qualification for job applicants, because they will guarantee the right knowledge and skills. That’s a big claim to make in their first year, and it remains to be seen whether they can live up to that promise. But the fact that they have been launched at all is an encouraging indicator that the UK is addressing the needs of its future workforce – and their employers. We are quietly optimistic about the new qualifications – and we think the finance industry should be too.